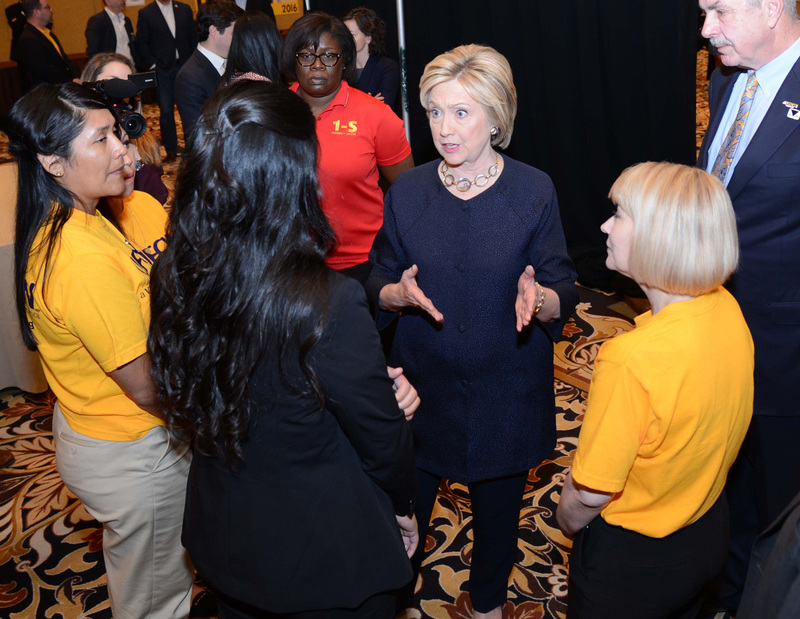 Last week at the UFCW Legislative and Political Conference, Secretary Hillary Clinton met with workers from across the retail industry to discuss the issues impacting them, their families, and coworkers. During the meeting, the workers talked about their day-to-day challenges, including workplace intimidation, scheduling and unpredictable hours. The emotional visit with Clinton included workers from Albertsons, Macy’s, El Super and Stater Bros.
Sherry Hamilton, who works as a union representative at Macy’s, pointed out that while the UFCW provides people with higher wages and protection, the non-union retail industry is still defined by unpredictable scheduling that makes it impossible to go to school, spend time with family, or have control over one’s life.